International wonder TNT Boys advance to the round after smashing Jennifer Hudson’s version of ‘And I Am Telling You I’m Not Going’ from the musical ‘Dream Girls’. The international wonder TNT Boys promised a sure win when they belted out the musical ‘Dream Girls’ on American reality talent show The World’s Best on Thursday. 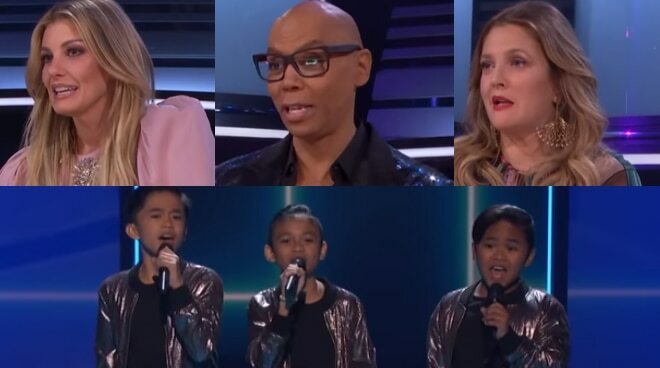 The trio – comprised of Keifer Sanchez, Mackie Empuerto, and Francis Concepcion – smashed a cover of Jennifer Hudson’s version of "And I Am Telling You I’m Not Going" that was worthy of another standing ovation from judges Drew Barrymore, RuPaul Charles, and Faith Hill. Even TV host James Corden was impressed. “It’s so infectious. For a while, I never quite knew why you were called the TNT Boys, and then I realized, whenever you sing, you just blow the roof off the place,” he said. Then competing against dance group Emotional Line for the Battle Round of the competition, the TNT Boys were chosen to advance to the next round after earning a total score of 97 points.